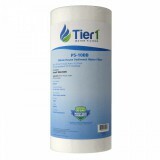 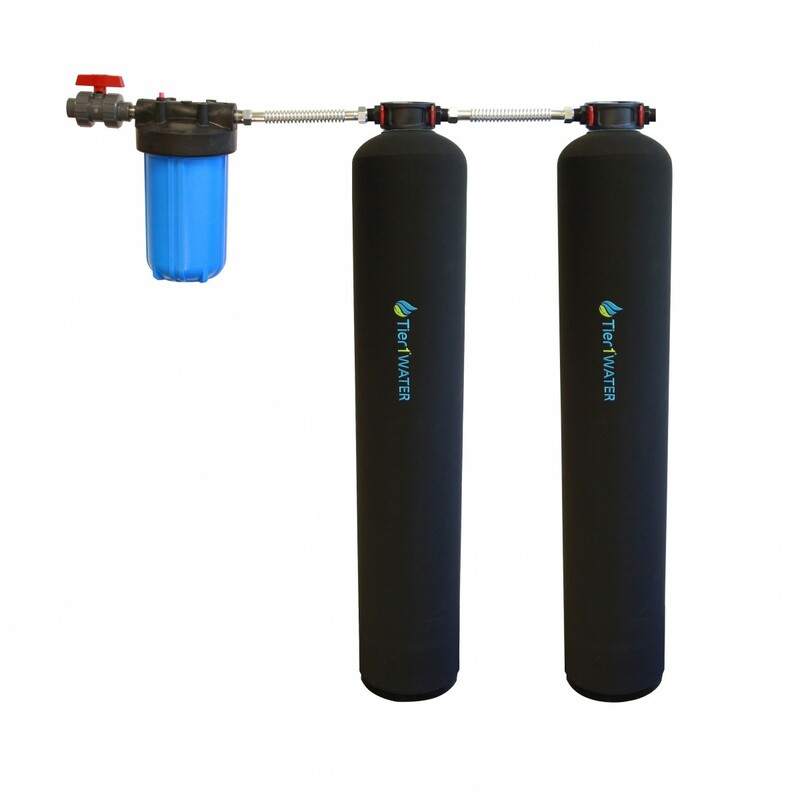 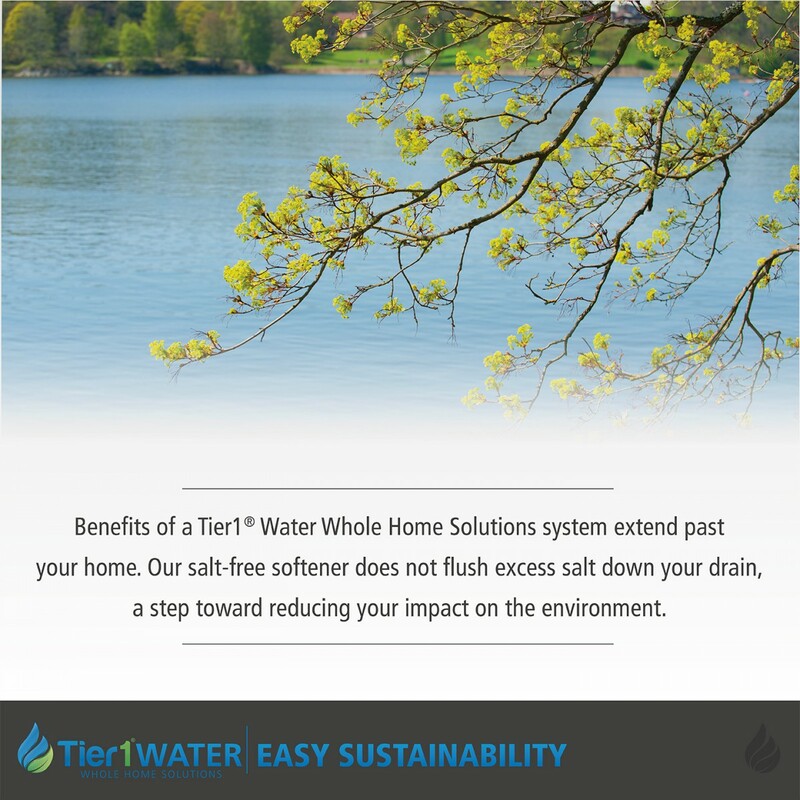 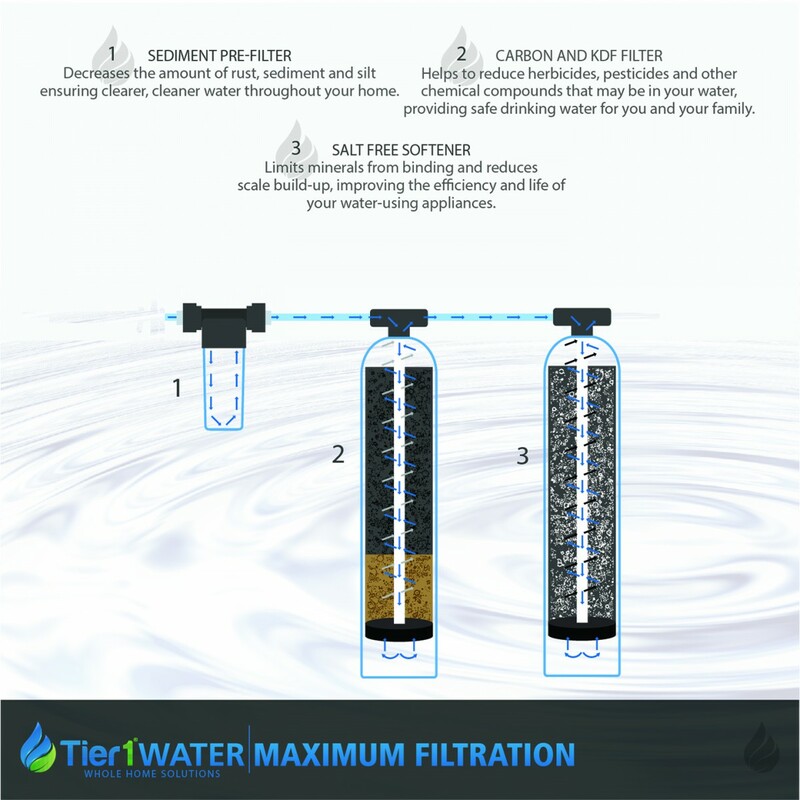 The Tier1 Carbon and KDF whole home filtration system is paired with a salt free water softener to provide a total solution ideal for smaller homes, condominiums, and offices. 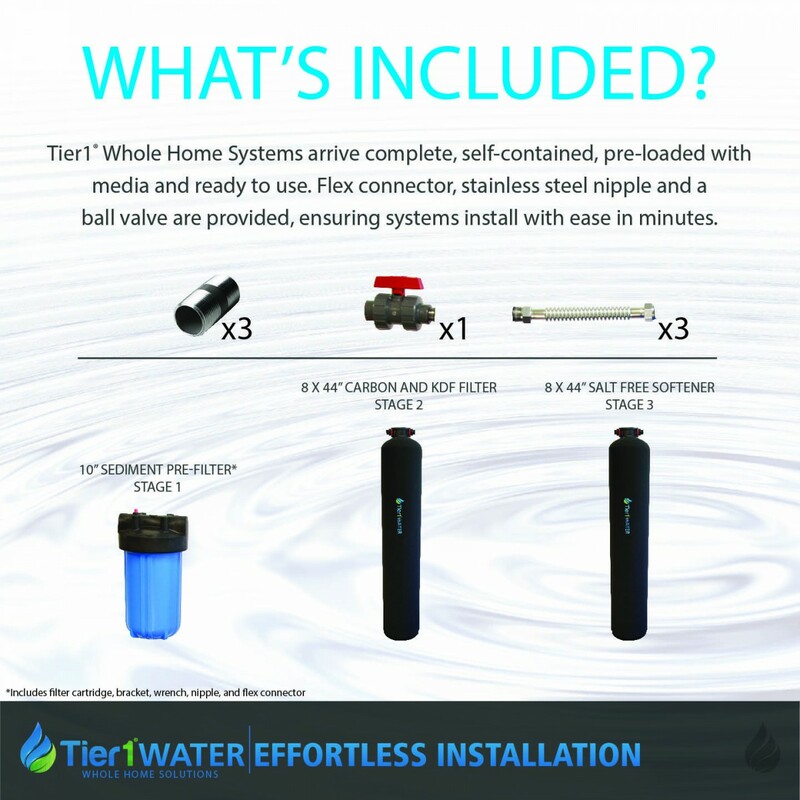 Designed with the whole home in mind, the system reduces sediment, herbicides, pesticides, chlorine taste and odor, and harmful scale. 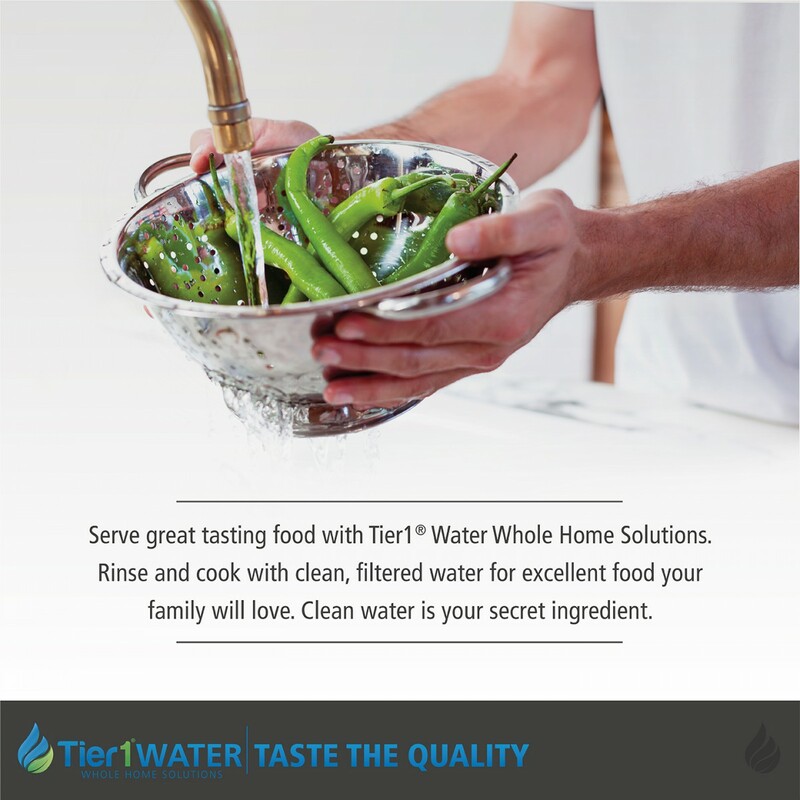 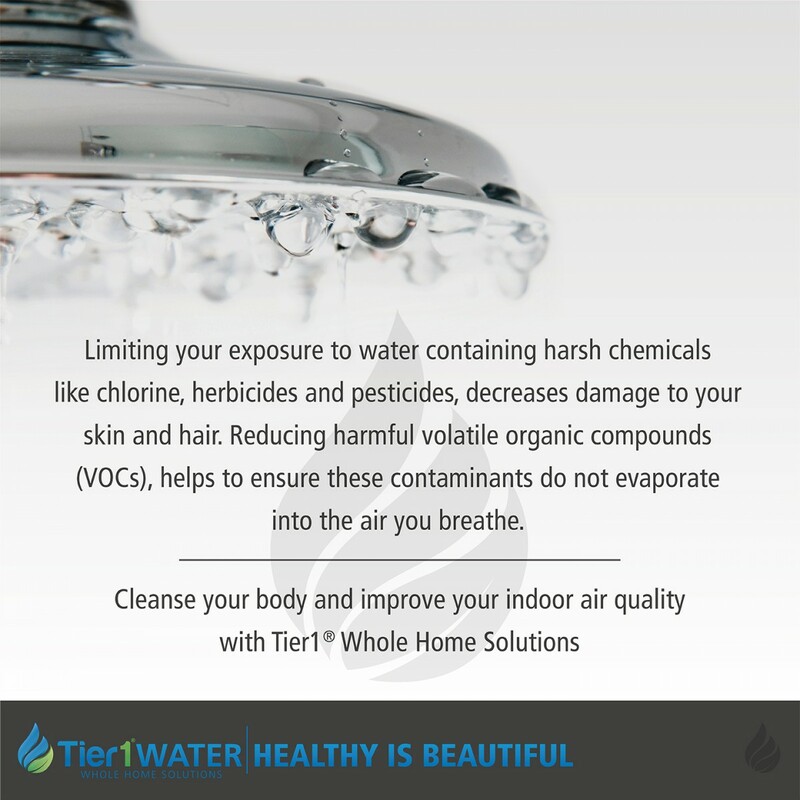 The Tier1 Carbon and KDF whole home system delivers great tasting, softened water throughout your home. 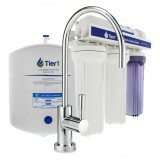 The Tier1 system is designed with ease of operation in mind. 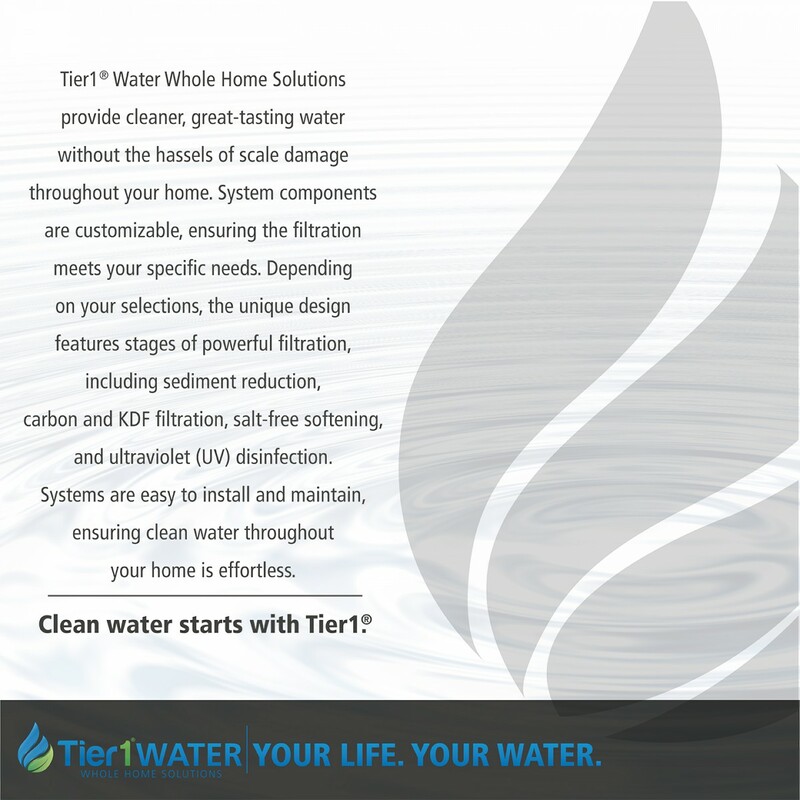 The scale reduction component utilizes Template Assisted Crystallization (TAC) to reduce damage to your home's piping and appliances. 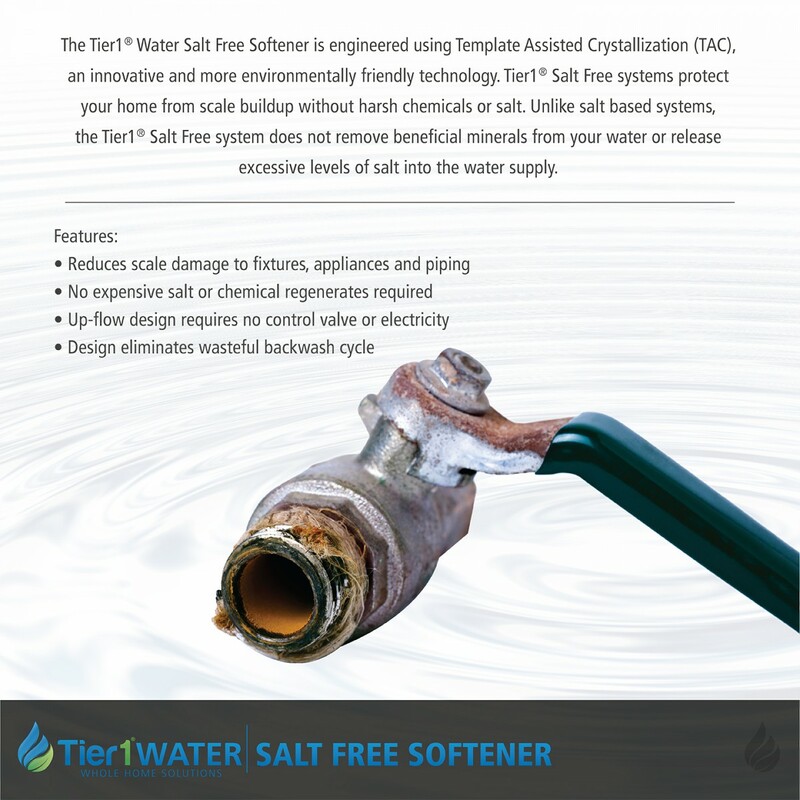 There is no brine tank, expensive replacement salt, backwash waste, or control valve to contend with. 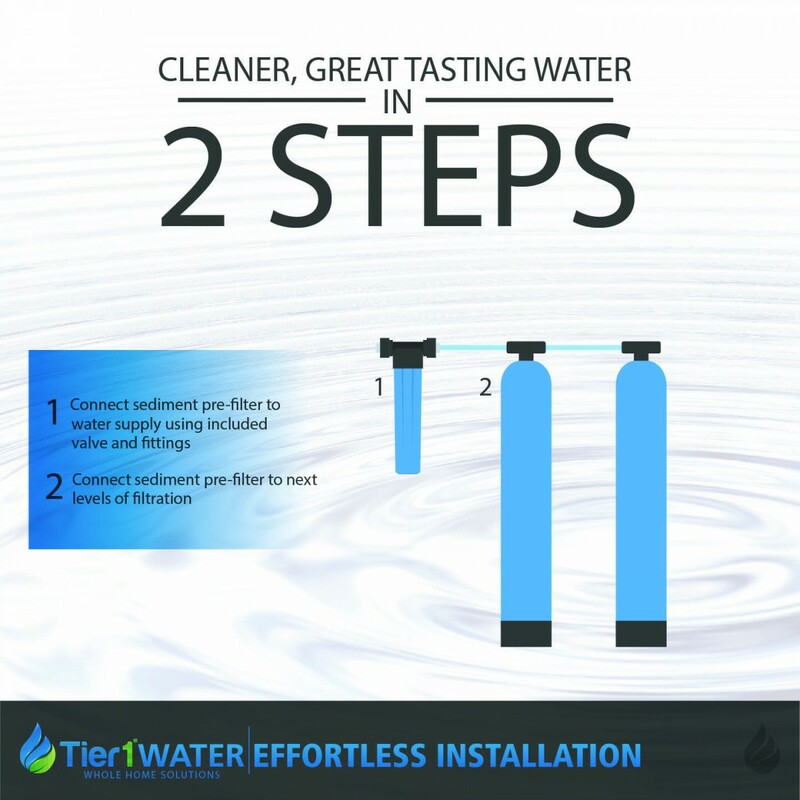 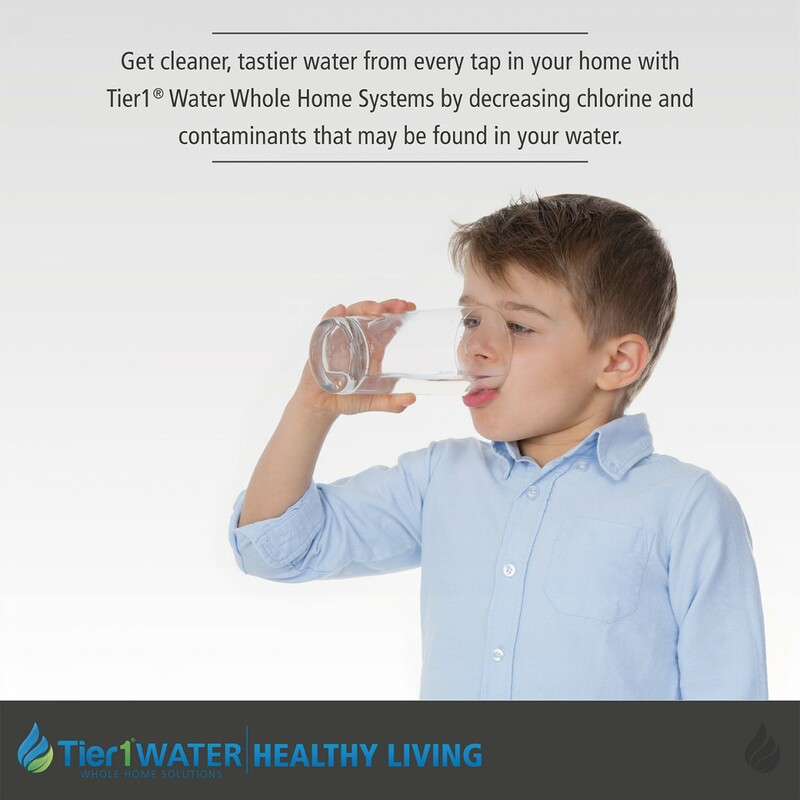 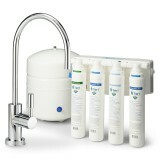 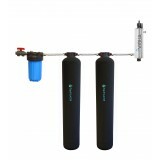 Simply connect the Tier1 system to your water supply and the softening system will go to work.